They are a versatile and surprisingly powerful tool for all kinds of tasks. From brainstorming to storyboards, to planning entire projects, they have a place in your workflow. Rather than impose a rigid structure up front, Cardflow allows you to lay things out however you like, and organize them in the way that makes sense to you. 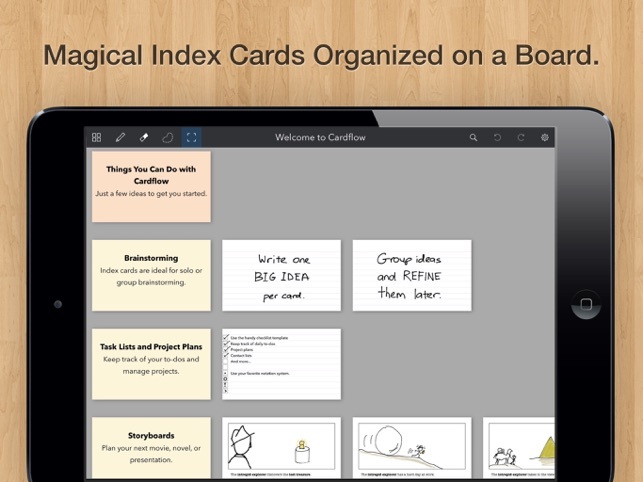 Jot down ideas or sketch diagrams on cards and arrange them on a large board. Write and draw using the buttery smooth Inkflow vector ink system, or type in a variety of fonts. You can even snap photos of actual cards to use as a background. Turbocharge your workflow today! 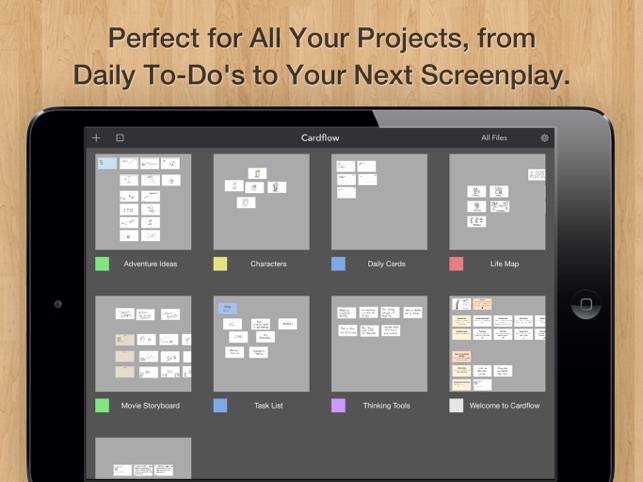 Whether you are drafting story boards for a movie, laying out the plot and characters for your novel, or learning a new language, Cardflow has a place in your toolbox. Have all the fun of using index cards, without the forest-pulping guilt of paper. EDUCATORS: Cardflow+ qualifies for Apple's Volume Purchase Program. Purchase it in quantities of 20 or more at a discount from Apple's VPP site. 1. 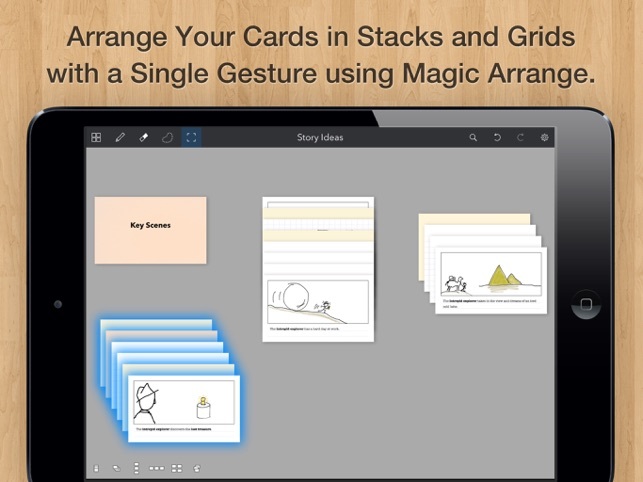 Tap on the file name in the Cardflow Gallery. 2. Tap "Transfer" in the context menu. 3. 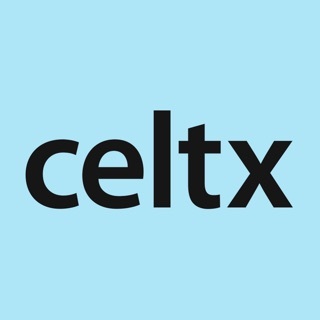 Select Cardflow+ from the list of Apps. We strongly believe that the iPad is not just a consumption device; It's a creativity device. Thanks for supporting us in our journey of building Creative Apps like Cardflow. We hope you enjoy using it! + App setting to flip cards to front on close. HOLY **** this app is unbefriginlieveable. Seriously excited about using this for school. I’m in dental school and this is the one thing all graduates have said to use is flash cards. I didn’t want to waste all the money buying a gajillion cards and keeping them all organized. So I decided to just try the free version out. I really found it useful and thought it would be best to just buy the app as it would STILL be cheaper than buying 100 cards for $3 x 5 semesters left in school= a ****ton more than $10. Plus I can incorporate images onto the cards which is MASSIVELY helpful when discussing anatomical structures and whatnot. THANK YOU! PS. I had a small heart attack when I went from free to the full version. It’d be great if there was an intro message stating that if you used the free version that there is a way to transfer those cards to the full with a short how to board. Just a suggestion to make sure no one else almost poops themselves like I almost did. Thanks! 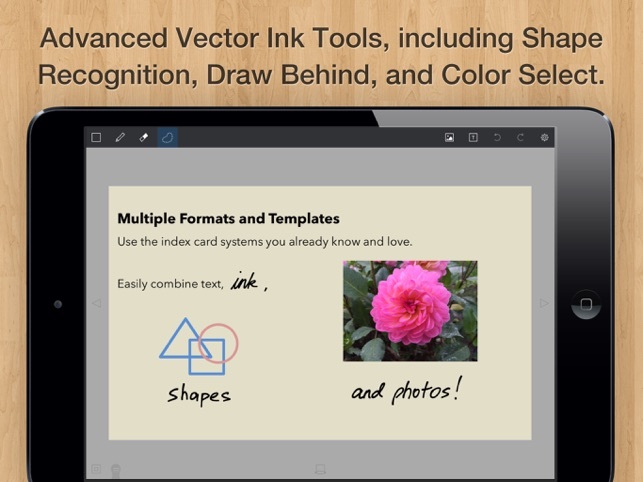 Best app for digital handwritten flashcards! I searched high and low for a flashcard app that supported Apple Pencil. It’s worth the purchase to upgrade to premium. So far I have created over 1000 cards to get me through the semester. I love how it’s synced to the cloud and you can save it as a pdf file. I have a couple suggestions: a. Allow for different styles of pens b. Allow for different sizes of eraser (include whole stroke erasing) c. A way to formate front templates and back templates so that you don’t have to manually change it each time d. A way to generate x amount of cards instead of one at a time e. A zoom box feature where you can write in instead of having to zoom the card f. Searchable handwriting!! 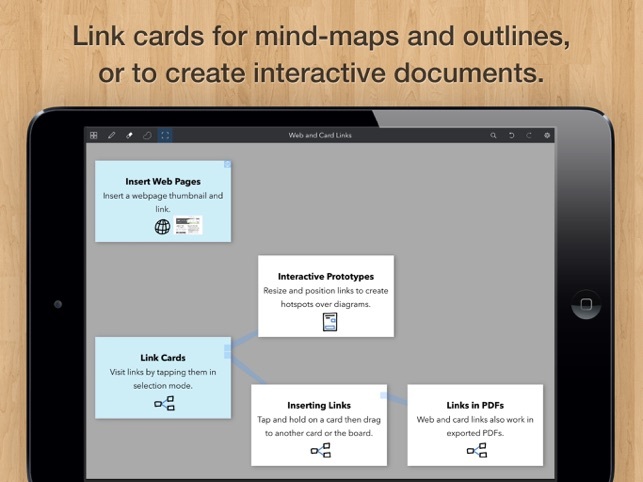 I contemplated ditching this app for GoodNotes and upload a flashcard template there but they don’t do as good of a job as cardflow (esp the hyperlink feature)....i hope you guys take our suggestions seriously by you would make this happy customer even happier!!!! 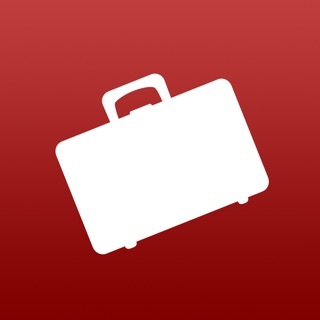 This app addresses of of the great problems of brainstorming on an electronic device. Aggregating multiple thoughts into one solution. With conventional brainstorming you use a really big sheet of paper or whiteboards or or a paper tablet and flip back and forth rather quickly. Most pad and tablet apps do not do this part well...that is work with multiple ideas separately and have them handy for aggregation. The index card approach is a great solution. I gave it 4 rather than 5 stars for two functional reasons. First, some of the screen icon placements do not work well for left handers. I would think it would be simple enough to have a setting that would flip the screen for lefties. Second, I got caught in some sort of previous step loop and lost about an hour's work helplessly watching as everything I touched erased a previous step until about half of my worked remained. I finally aborted the program to make it stop and autosave.